Members of Birmingham’s arts, media and tech industries are looking forward to a free programme of talks and demonstrations from some of the country’s leading experts, including Google, BBC Three and The Space. 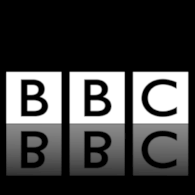 Digital Digbeth Day is presented by Fazeley Studios on Thursday 15 June as part of BBC Digital Cities, a week-long event showcasing Birmingham’s last digital innovations. 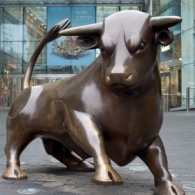 From digital storytelling and tech innovations to growing and engaging online audiences, the day will demonstrate how innovations in technology could enhance creative business in Birmingham and beyond. The packed programme will feature talks, a masterclass and panel discussion with national industry leaders including BBC Three and The Space, currently based at Fazeley Studios, as well as Google’s Digital Garage. Birmingham Museum and Art Gallery, Birmingham City University’s STEAMhouse and Digbeth-based companies, HolosphereVR, Yamination Studios and Backface, will also share an insight of their digital innovations. Throughout the day there’ll be opportunities to get hands-on experiences with virtual reality, 3D scanning and the latest game-changing technologies. 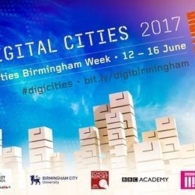 For more information about Digital Cities Week go to bit.ly/digibirmingham and follow #DigiCities #DigitalDigbeth.